There’s been lot of rumor regarding Symphony’s upcoming Android mobile phone, W100 till yesterday. 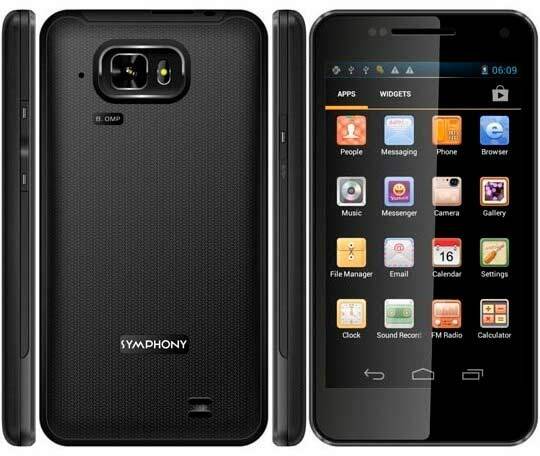 Its now gone after Symphony released the spec sheet of high end Android phone. It will come with Android Ice Cream Sandwich 4.0 as expected along with a huge 4.3-inch AMOLED TFT full capacitive touch screen. Display of the X100 has a resolution of 480 X 728. Symphony used 1GHz CPU but till now we don’t know its single core or dual core. But I guess it’s a single core CPU. GPU of X100 is not bad at all, its PowerVR SGX 531. There’s a 8MP camera on the back of the mobile with a 0.3MP camera on the front. As expected Symphony Xplorer W100 have 3G support. It has a 2GB internal memory with 32GB memory card support. There is Wi-Fi 802.11 with Hotspot capability inside with Bluetooth 3.0. Battery of the Xplorer is 1600mAh. Price of the Symphony Xplorer W100 is still unknown. But we expect it will be around 15,000 taka.